The founder of Redken, Paula Kent revolutionized the professional haircare industry for both stylists and clients. Her dedication to science and her pioneering spirit helped make the brand what it is today. 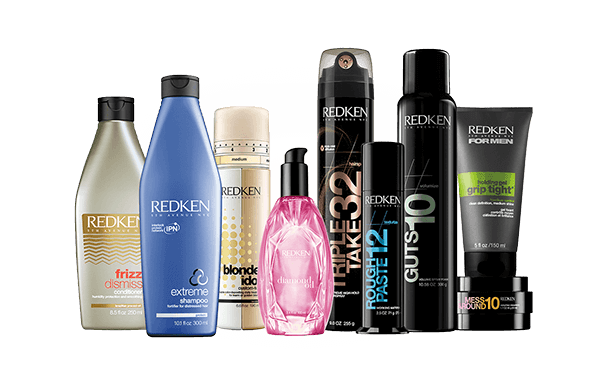 Today Redken is available in 43 countries around the world and they are constantly reinventing their lines with new innovative products. This allows us to use hair care products that cleanse, moisturise, nourish, strengthen, smooth, repair and protect specifically for your hair. We can achieve any look with styling products specifically designed for straightening, shine, volume, texture or curls! Wella professionals were the fist company to develop a colour cream and this has set the standard for expertise and creativity in hair colour. 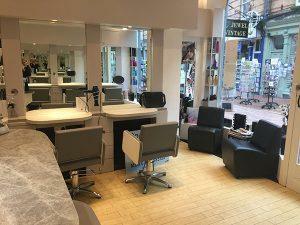 Koleston Perfect – the original permanent range has a portfolio of over 160 shades which allows us as stylists to offer an unlimited range of colours and create beautiful, unique looks for every client. Koleston Perfect Innosense – with the new ME + dye molecule produces a high performance colour that is mindful of health conscious lifestyles. With 22 vibrant intermixable shades we can offer breakthrough advanced hair colour technology by combining a reduced risk of allergy with a rich permanent colour. Illumina – is a global beauty phenomenon. This permanent hair colour allows the creation of new colour expressions and elevates light to its highest spectrum. Using microlight technology Illumina protects the hair cuticle and leaves the hair luminous in any kind of light. Colour touch – allows a quick easy change of colour to suit fashion. 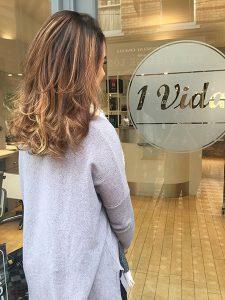 This semi-permanent range creates stunning colour results and amazing shine. Blondor – Wella’s lightening powder is their best selling range.For controlled and reliable lightening it can achieve up to 7 levels of lift. Blondor can be used on all hair types and contains anti-yellow molecules to help reduce orange/yellow undertones during lightening. Curl It – For long lasting curls that look and feel incredibly bouncy. This is the perfect product for clients who want the flexibility to change their look. This keratin blo-dry is 100% free from formaldehyde. It softens the bonds of the hair without breaking them, leaving no drastic re-growth and leaves hair frizz free for up to 4 months. The cuticle will be left smoother, softer and shinier, making the hair much easier for you to style at home. Smartbond is L’Oreal’s new protective strengthening salon only service. It is a unique system that protects and strengthens the hair either during colouring and bleaching or as a stand alone treatment for brittle weak hair. We also proved in-salon wedding hair packages with a free consultation but always recommend a trial.